One weekend, Ellen and Steve visited the DC area in a reconnaissance mission. They drove themselves around Fairfax County VA (Fairfax, Virginia) trying to figure out where Reston Town Center was (it’s huge). Then they drove to Fairfax Town Center (it’s a little strip mall). And she was very frustrated because she couldn’t go by “Town Center” to guide their home search. Ellen is a 30-something mom who works part time as a pediatric physical therapist. Ellen is married to Steve, a military pilot who was assigned a fancy desk job at the Pentagon. They have two kids, a 10-year old boy who goes to elementary school and a tween girl who is now in middle school. One day, Steve found out that he was being transferred to the Pentagon. The first thing Ellen did was to go online to figure out where the Pentagon was and if there were any good schools for her kids. Ellen learned that, in Fairfax County, where you live is very important since it determines your specific school assignment. And there are very few exceptions to that rule. Since school boundaries were very important, she poured over the couple of websites that have Fairfax County schools information and ratings. But Ellen couldn’t find a resource that would easily “cross-reference” her desired schools with available homes. How to link her Fairfax school choices to homes? Ellen wanted to link those available homes with transportation and all the other variables that she wanted to consider, so Ellen asked some of Steve’s work acquaintances to guide her. Some people told her to check out “Reston”. Others said to avoid the 95 corridor because traffic was challenging. Armed with that little bit of info and her own school research, she contacted a Realtor®. She told him the basics of her search (single family home, 3 bedrooms, 2 baths, up to X price). She had no idea which Fairfax County schools would be the ones assigned to the homes she saw. She’d search for the Fairfax County Public School assignments to the homes she saw. Then, she compared the Fairfax school ratings to see if they were good schools or not. She also tried to figure out the commuting options for Steve for each of the homes. And she kept wondering if the kids would have access to a pool in the community that she ultimately chose. She was completely overwhelmed. “It is really overwhelming when you are really not familiar with the area at all. There is no place on line (groups or websites) – that I could find – where you could ask questions. In an ideal world, I would like to have a way to say: These are my priorities: school, metro… and these are the available homes. Ultimately, Ellen moved her family into a home that was available next to someone Steve knew. Steve has a much longer commute than they would have liked. The kids’ schools are “just ok” and not really what she wanted, but the house is nice. She gave up searching for “the right house” because the tools to help her find it weren’t available (she hadn’t found HomebySchool.com ! 😉 ). 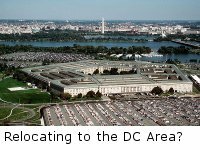 Moving to Fairfax County VA can be overwhelming. Conscientious moms want to find the right home for their family by taking into consideration several variables: schools, transportation, amenities, as well as the physical characteristics of the home. Ellen used a cross-reference spreadsheet to help her with her search. Ellen gave up on finding the right house and followed the path of least resistance. Ellen (and her family) would be happier if they had found a house in a Fairfax County schools boundary which suited her kids better -and with better access to Steve’s job.